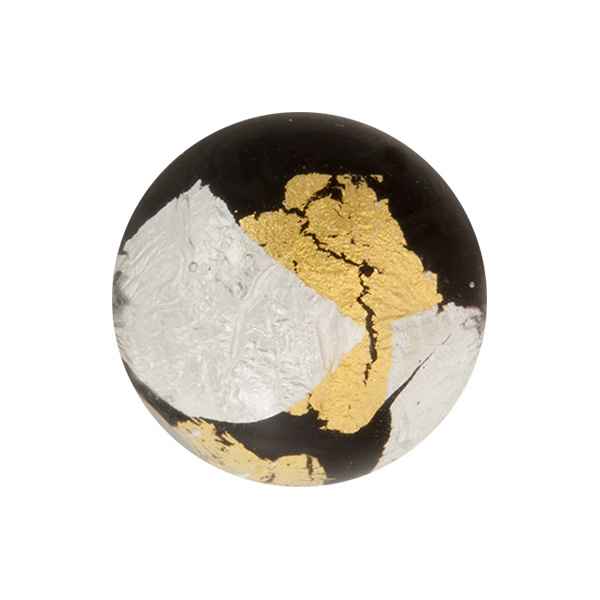 18mm round with splashes of 24kt gold foil and sterling silver in a random pattern submerged under clear glass. Authentic Murano Glass in our Vicenza line, named for the mounds of gold and silver found at Vicenza Oro. It has a 1mm hole running through the center. The exact placement, size and shape of the gold and silver are completely random with no two ever exactly alike. The base is black Murano Glass. The size is approximately 18mm in diameter.